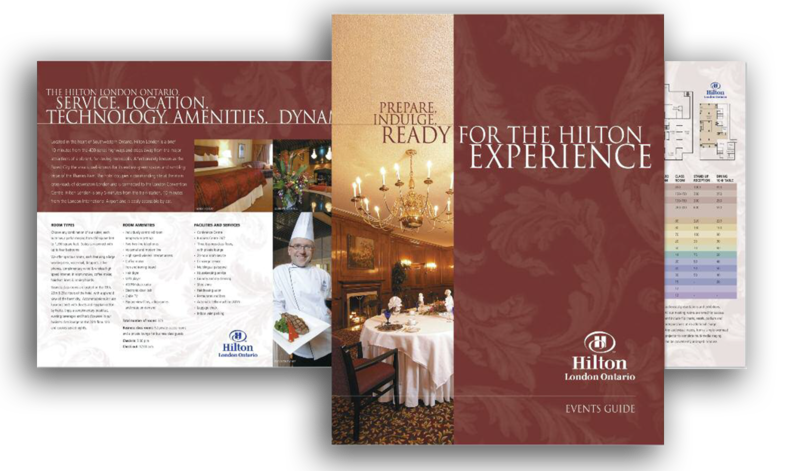 Following a 3-million dollar renovation to rooms, elevators and meeting rooms (Grand Ball Room), Hilton was ready to prospect the wedding market for all-year bookings for guests and family events. 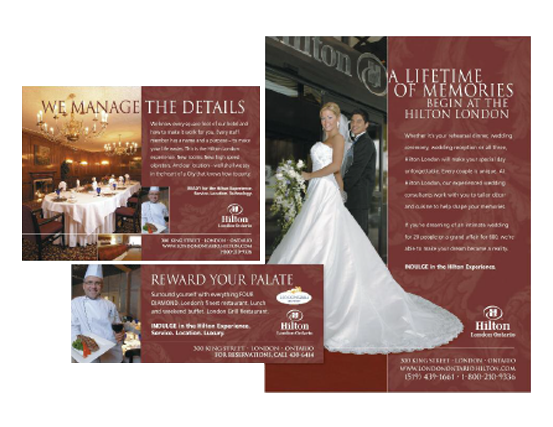 The campaign launched in wedding magazines, point of sale in-house and in-rooms, and targeted mailings to partners in the wedding industry including meeting planners, flourists, gown and rental agencies. The property offered large scale solutions for couples hosting families and guests on a first-class status with invitations topping 250-300 guests. . Larger party bookings increased onsite as well as for guests attending off-site wedding venues.